LCWS2014 conference will take place at the Belgrade premium hotels: the Hyatt Regency and Crowne Plaza. Both establishments offer fully equipped conference space, restaurants, lounges and bars as well as indoor pools, gym and spa areas. Special booking prices for LCWS14 participants are provided. Details will be available at the Accommodation page of the Main menu. Walking distance between the hotels is up to 5 minutes. Hotels are situated at the New Belgrade, across the river Sava with respect to the Old Town. They are located approximately 10 km from the Belgrade airport Nikola Tesla (10-15 min. by car) and it takes up to 15 minutes to the city center (Old Town) by the public transportation. 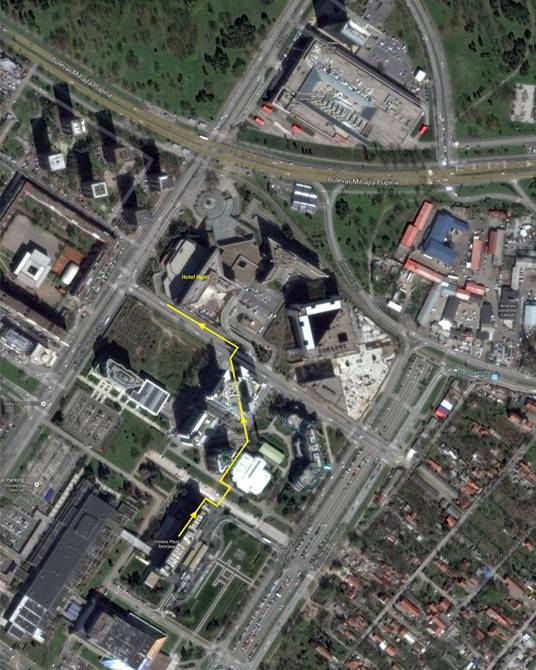 As well, two large shopping centers Delta City and Usce are in vicinity of the conference venue. The last day of the conference, Friday the 10th, will take place at the Serbian National Theater at the very hart of Belgrade. Located at the Republic Square, the National Theater is a typical mid 19th century theater building particularly reminiscent of La Scala, Milan, with regard to its Renaissance conception and the decorative finish. The National Theater is declared as a Monument of Culture of Great Importance.